In Episode #33 on The Jen Mavros Show we sit down with relationship expert, integral psychotherapist, and psychospiritual guide and trainer, Dr. Robert August Masters. As an expert in blending psychological, emotional AND the spiritual, Dr. Masters shares deeply about 'The Shadow' and Spiritual Bypassing—the use of spiritual practices/beliefs to avoid dealing with painful feelings, unresolved wounds, and developmental needs. 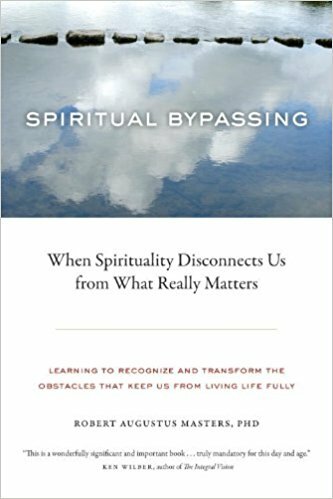 A MUST-LISTEN for those seeking to increase ones self-awareness and a deeper, more spiritually sound life. Robert Augustus Masters, PhD, is a relationship expert, integral psychotherapist, and psychospiritual guide and trainer, with a doctorate in psychology. He’s also the author of many books (including Transformation Through Intimacy, Spiritual Bypassing, Emotional Intimacy, and To Be a Man) and the audio program Knowing Your Shadow. His intuitive, uniquely integral work, developed over the past four decades, blends the psychological and physical with the emotional and spiritual, emphasizing full-blooded embodiment and awakening, emotional authenticity and literacy, deep shadow work, and the development of relational maturity. At essence his work is about becoming more intimate with all that we are, in the service of the deepest possible healing, awakening, and integration.